Wow what a generous giveaway! I'd like to put my name in the hat for the wire working DVD. I think chainmaille is probably beyond me! Thanks! Please put my name in the hat - what an amazing giveaway! Thanks to Lori and David. Great giveaway! I will post on my blog and on facebook. Can't imagine anyone is following me and not you but what the heck:) I added the email and showed it now in my profile so hopefully that will work. Oh these would be so awesome to have -- especially being such a beginner. I can't wait to start learning to work with wire. What an awesome giveaway! The Byzantine is one of my favorite links! Thank you so much for a chance to win one of those goodies! Now that is something I need to add to my skills! Awesome stuff Lori! my email is beadcomber at yahoo dot com. Thanks so much! Whoops! Forgot to leave the Twitter link from tweeting. Thank you for the chance - I would love that wire book. Thank you for the chance. I would love to win that wire book - looks awesome! What a fantastic giveaway! Please toss my name in the hat. I am always up for learning something new and a dvd sounds great! Would love to learn chain maille! Thanks for the Giveaway! Toss my name in the hat please! Thanks Lori! 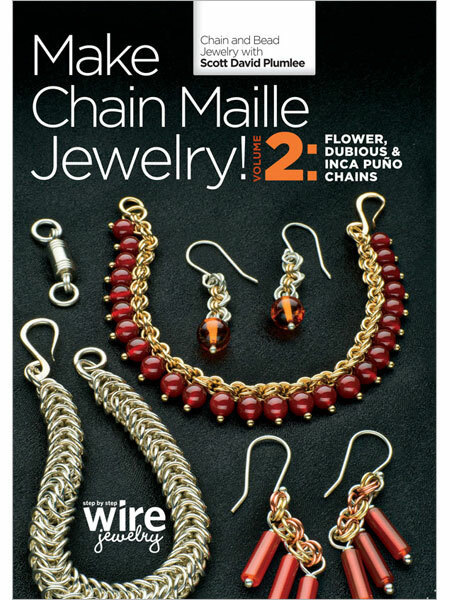 These DVD's sound wonderful I have always admired chain maille, but just never done it. Thank you for the opportunity to win one of these DVD's. Lovely giveaway, I will cross my fingers that I am lucky!! Hi Lori, Lovely jewelry in your store! I have just started wire-wrapping and have a whole new world to discover with wire-working! I'd love to win the Wire Working one (since I already have the other two!). I agree he's very good at showing you how to do stuff and I need that w/ wire! Thanks, Lori. I would like to win the chain maille 2 book. Sorry for not mentioning which one! Chainmaille I would be fab. What a lovely giveaway! Very generous. I would love to win. Thank you! 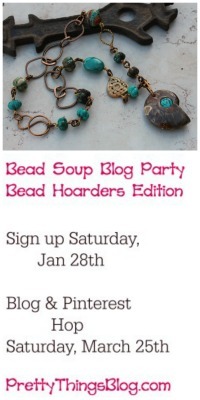 Hi Lori, I posted the giveaway on my blog, but I don't know how to do the facebook thing?? P.S. First choice would be the precise and chaotic wirework, second choice would be chainmaille 2. Woohoo! I get to comment again! *Winks* I didn't tell you which DVD I wanted. It is this one, if I win. 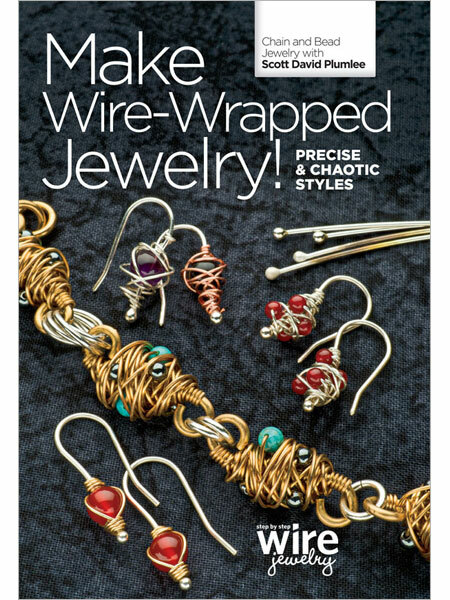 Hi Lori, I would prefer Make Wire-Wrapped Jewelry -- Precise and Chaotic first choice, then either of the chainmaille jewelry DVDs. Here I am again. Forgot to mention which I'd prefer. I think wire-wrapping. I have only the very basic skill in that area. Well, I would love to win either the Wire-Wrapped DVD or the more advanced chainmaille one. #2 would be nice, but would be happy with any one of them. Will put this on my blog also. I love wire wrap so I would definitely choose that one. The designs on the front are enough to make me drool. I would love to win one of these DVD's. Preferably the one about wire work, as I've never done chain maille, but am always looking for ways to improve/expand my wire work. But any of the 3 would be great. My e-mail is in my blog profile. Ok, I think this is the link for the tweet I just posted about your giveaway and David's DVD's. I'd love to win the Make Wire Wrapped Jewelry, if I'm chosen. thanks again! I would love to win any of the fabulous DVDs!! Thanks for the chance on a great giveaway!! I would love to win this giveaway. I have many friends from my Rennaissance days who are still wearing chain regularly. I've been wanting to learn chain maille patterns! What a great opportunity to learn this technique! Thanks for the opportunity! I've been wanting to learn this technique! Thanks for the chance to win the DVD's! Lor, I would love to win one of these DVDs. Please put my name in the drawing. 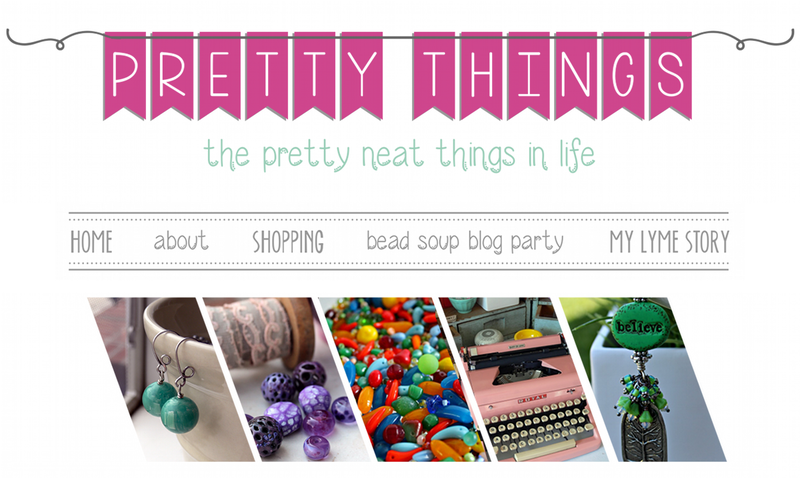 I have blogged about the giveaway. Thanks Lori. Would love to have the wire working DVD or the first Chain maille as I've never done that before. But either one would be great!!!! Thanks Lori! Just posted this on my blog! Frantastic giveaway. I have ordered other "on-line" lessons on chain maille but they were confusing and got me no where. Hope I can master the technique soon (especially if I win one of the DVD's - hint, hint). Forgot to mention earlier - I would love to have the "Make Wire-Wrapped Jewelry" DVD....the tag "precise and chaotic" is intriguing as I continue my experiments with wire ! I adore wire wrap jewelry and can't wait to learn how to do it myself. My email is mybestforu@yahoo.com, dont have a blog but will definitely give a shout out on FB. Take a look at our page http://www.facebook.com/pages/Unicorne-Beads/147272765301419 to see my post. This is a wonderful and generous offer. Thank you for making it available to so many of ♥ I'm interested in the beginners chainmaille, thank you. I'd be grateful for any of the really. Love the book I have by him and would love more! COunt me in! art at beadfix dot com I would love the 2nd chainmaile if I luck out and win, but I'll take whatever I can get... and I'm thinkin' I'm gonna add the to my wish list for future reference... thanks for having the giveaway! You can always learn new techniques! Nice giveaway! I would love the Chainmaille DVD. Thanks for the opportunity. 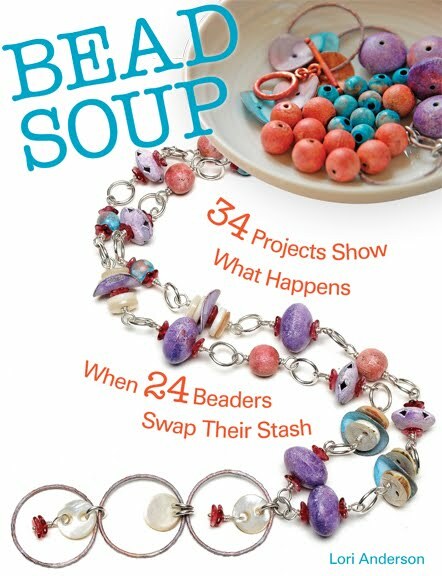 I would love to have a DVD to increase the knowledge of wire making jewelry. This is my goal this year. 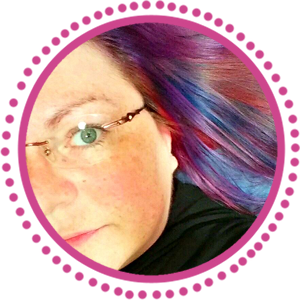 You can find me at Dian's Timpanalley blog and my email is kellyrd@yahoo.com. How nice of both you and Mr. David to make such a generous offer. Beadie people are the very best. :) My email addy is susie77@gmail.com Thanks!!! Thank you for being so kind as to offer them! Any of those DVD's would be awesome to win. SO many great ideas! Wow! What a great giveaway and hard to choose which I'd like (I'd LOVE all three) but since I have to pick I'd like the wire working DVD since I'm really trying to master that right now. Wow! You've definitely gotten some attention with this giveaway! Count me in for the beginners chainmaille DVD! My email is gracedorsey@att.net, I posted it on my blog and I'm about to go and post this on my Facebook page https://www.facebook.com/pages/Graceful-Bead-Designs-Handmade-Glass-Beads-for-Jewelry-Designers/108226712569970. I follow your blog as CWSlevin....Fan of the Flame! Thanks Lori, you're great! I have dabbled in chainmaille and would love to have a chance to learn more about it. You give away the best stuff. I posted on my blog at http://www.jeanawells.blogspot.com and my e.mail is jeanawells@kc.rr.com. Off to twitter and facebook. Wow, how cool is that giveaway! esp the wirework book. And, Happy Birthday to you!! Awesome giveaway!! I put it on my Facebook. Just twittered or tweeted here. Whew, I have one more entry allowed - just a plain old comment here about hoping that I win one of these goodies.....that would be great. Haven't won anything now in a few weeks - do you think my luck is running out? Oh I hope not. Happy Birthday Lori - read that on facebook I think. 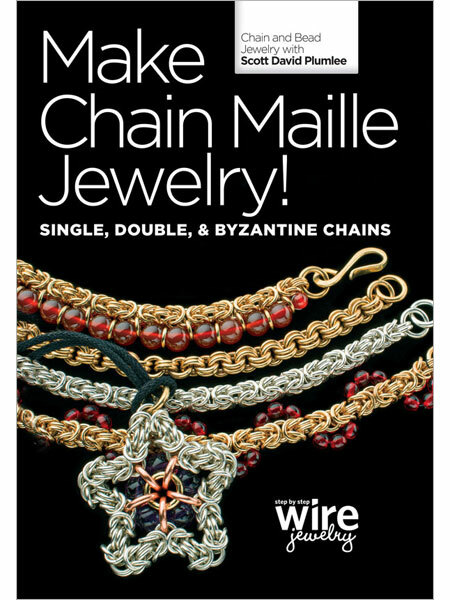 I would love to win the wire wrapped jewelry because chainmaille and me do not get along. All of these look amazing. And you are so generous to give them away.